Putting People and Robots Together in Manufacturing: Are We Ready? Traditionally, industrial robots have needed complete segregation from people in manufacturing environments to mitigate the significant risk of injury posed by their high operational speeds and heavy payloads. However, advances in technology now not only enable the application of smaller force-limited robotics for lighter industrial tasks but also wider collaborative deployment of large-scale robots. Such applications will be critical to future manufacturing but present a design and integration challenge as we do not yet know how closer proximity and interactions will impact on workers’ psychological safety and well-being. There is a need to define new ethical and safety standards for putting people and robots together in manufacturing, but to do this we need empirical data to identify requirements. 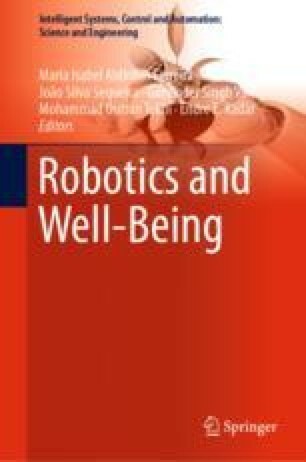 This chapter provides a summary of the current state, explaining why the success of augmenting human–robot collaboration in manufacturing relies on better consideration of human requirements, and describing current research work in the European A4BLUE project to identify this knowledge. Initial findings confirm that ethical and psychological requirements that may be crucial to industrial human–robot applications are not yet being addressed in safety standards or by the manufacturing sector. The work described in this paper was conducted as part of the A4BLUE research project (www.a4blue.eu) funded by the European Commission’s Horizon 2020 programme. The authors would like to thank the EC for that support and the individual partners in the project consortium for their assistance with this work.